It seemed like everywhere you looked in 2017, people were seeing green. It showed up in burgers, on toast, and – surprisingly – even popsicles. A divisive comment from Australian millionaire Tim Gurner infamously set the internet aflame when he suggested on 60 Minutes that spending money on avocados is one of the reasons young people can’t afford to buy a house. “When I was trying to buy my first home, I wasn’t buying smashed avocado for $19 and four coffees at $4 each,” Gurner said on the program. The avocado trend shows no signs of stopping. The Agricultural Marketing Resource Center notes that demand for the little green globes have been on the rise, citing a consumption rate of 1.1 pounds per capita in 1989 to a “record” 7.1 pounds per capital as recently as 2016. Personally, we identify much more closely with the 2016 camp than the unimpressive 1.1-pound stat. What’s the punchline in all of this? An excuse to talk about a Double Take product, of course. We’re over the moon excited about our latest hot sauce: Avocado Cilantro. 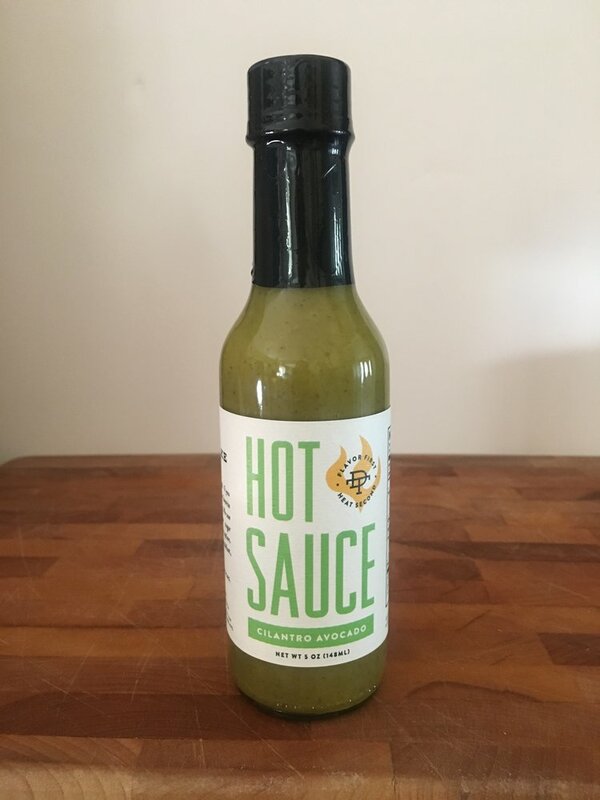 It’s a not-so-hot hot sauce that’s all-in on avocado enthusiasm, made with fresh ingredients and no added sugars. It’s available in our online store and as part of our Father’s Day gift set on Amazon. Now’s the time to do your part: Reach your 7.1-pound quota for 2018 with a little help from your friends at Double Take. Your taste buds will thank you.